Havana, Oct 1, 2011 (EFE via COMTEX) --The president of the Jewish community in Cuba, Adela Dworin, said Saturday in a communique sent to Efe that she and the organization's vice president, David Prinstein, visited Gross on Sept. 28, the eve of Rosh Hashanah, at the center where he is serving his sentence. The physical condition of the 62-year-old Gross "is good" and "he is receiving careful medical attention," representatives of the Jewish community said. The meeting lasted two hours, in the "privacy of a small visiting room," where Gross acted as "host" and together with his visitors made the typical Jewish new year toast: "L'chaim," which means "to life." Dworin and Prinstein gave Gross the appropriate treats for the Jewish new year, including the traditional honey cake - "honik lekaj" - as well as publications to do with life in the Jewish community in Cuba. "Wearing a blue guayabera (Alan Gross) appeared very grateful for the interest shown by Cuba's Jewish community in visiting him and sharing the arrival of the year 5772," said the note from the Jewish community that described the meeting as "moving." 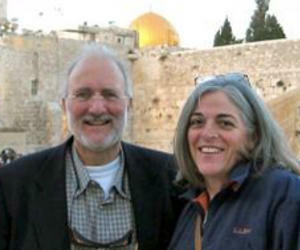 Alan Gross and his visitors talked about the health of the contractor's family, with the mother and daughter very ill and for whom the Jewish representatives wished a speedy recovery. Gross was arrested in Cuba in December 2009 for distributing technological material to the Jewish community on the island, and last March was sentenced to 15 years in jail for taking part in "subversive plans" against Cuba. At the time of his detention he was working for the Development Alternatives company (DAI), a subcontractor of the U.S. Agency for International Development (USAID), dedicated to development work in other countries.